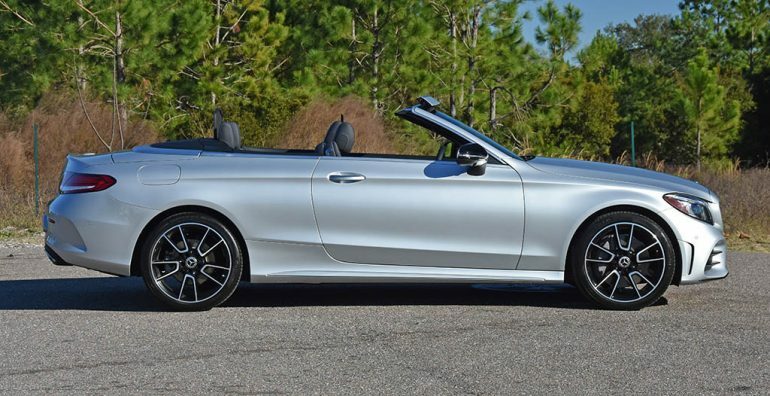 The uniqueness of a convertible is a delicate formula to perfect, but Mercedes-Benz has been at such for countless years, and their experience pays merit in the newest C-Class Convertible, which I had a week to experience. 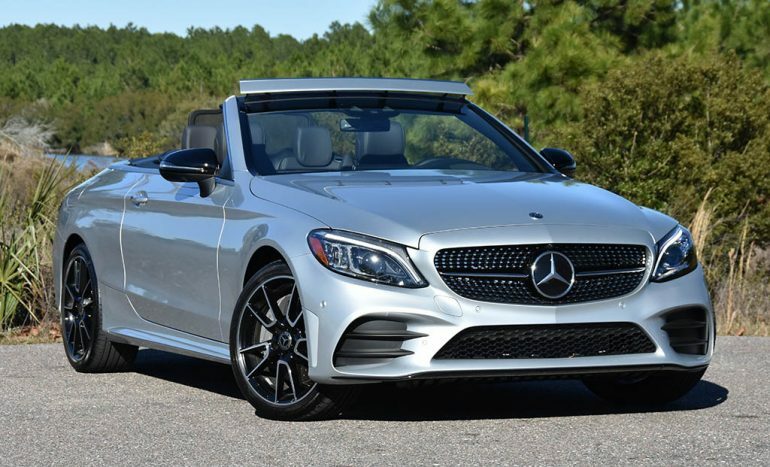 The new 2019 Mercedes-Benz C300 Cabriolet is one of the few unique luxury vehicle offerings that fulfill a cachet for those who desire the classiness of a luxury sports coupe but the versatility of a power-folding fabric top. 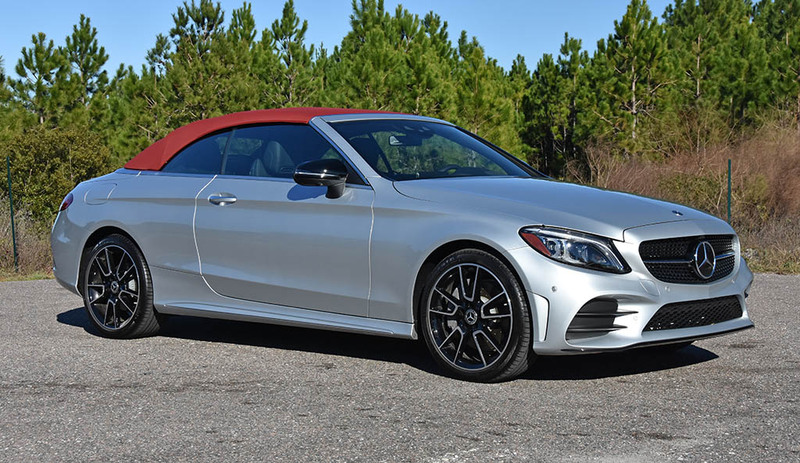 The latest C-Class embodies many generational advancements in a segment that runs up against the likings of BMW’s 3 Series, once a benchmark setter for compact luxury vehicles. 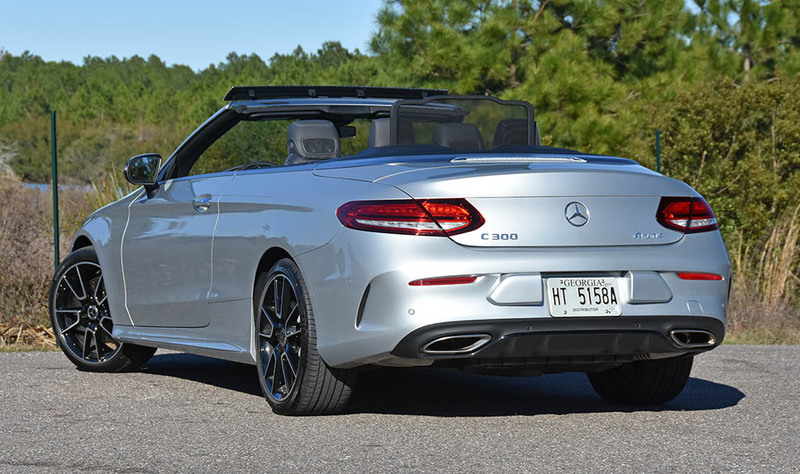 Receiving mild updates for the 2019 model year, the new C300 Cabriolet receives additional power in its 4-cylinder turbocharged engine making 255 horsepower and 273 ft-lbs. of torque. 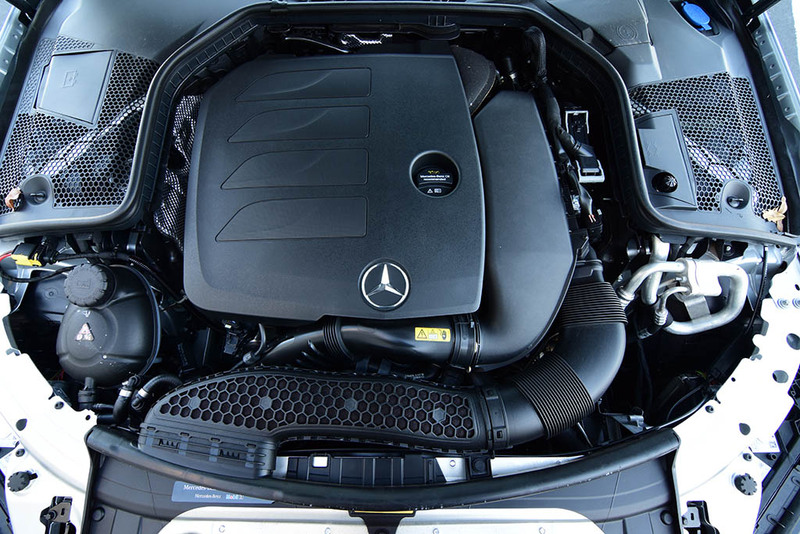 The power, which comes on seamlessly without much lag is sent through a 9-speed automatic transmission and can power either the rear wheels or all four through the latest 4Matic all-wheel-drive system, which is found on my recent test vehicle. 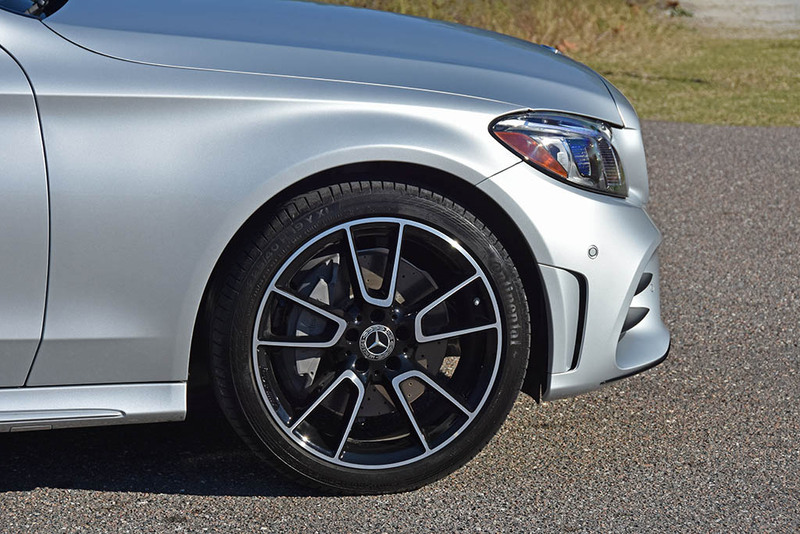 The performance attributes of the base level of the Benz C-Class proudly wear its C300 badging even though there’s a 2.0-liter turbocharged 4-cylinder under its aluminum hood. Utilizing today’s technological advancements, the turbocharged 4-cylinder features a twin-scroll turbo and valve adjustments that instantly meet the demands of power that is surprisingly consistent. 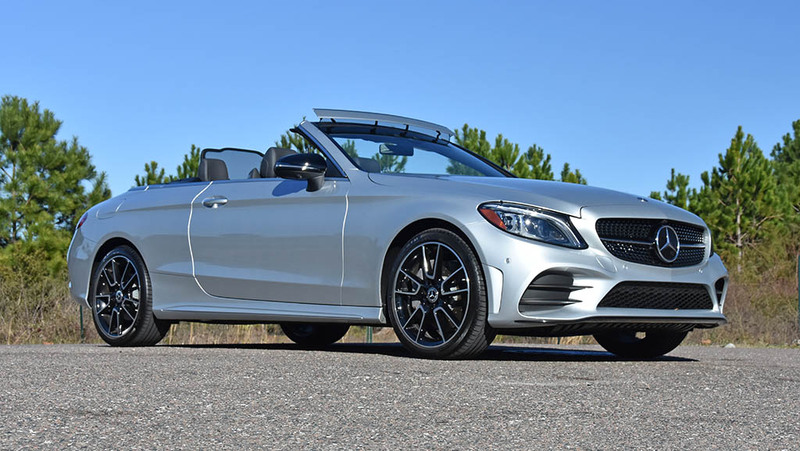 That consistent basis of power adds to the road prowess of the Benz C300 Cab 4MATIC to not only get the vehicle up to 60 mph in about 6.2 seconds but remain efficient to score the EPA estimates of 21 mpg city and 29 mpg highway. 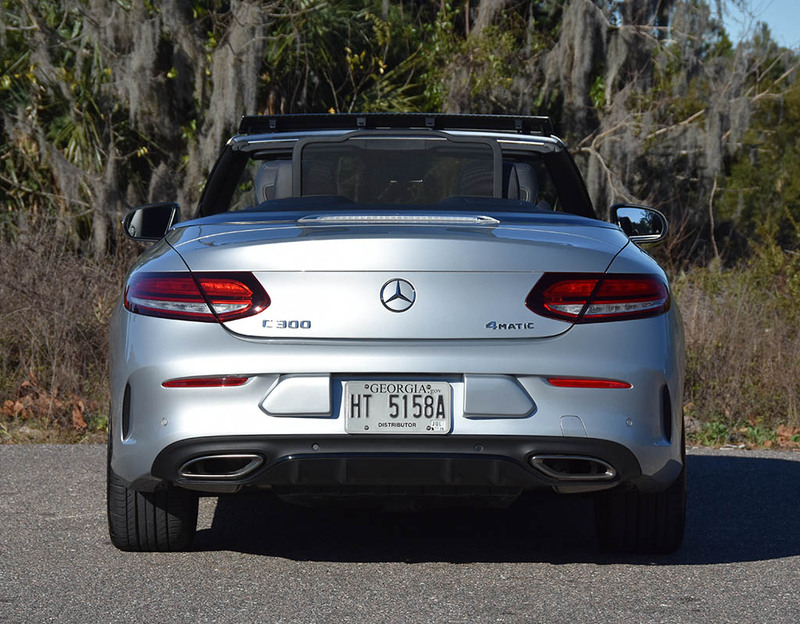 During my time with the C300 Cabriolet I was able to match those figures and seldom get 30+ mpg in the Eco drive mode, one five defined drive modes (Eco, Comfort, Sport, Sport+ and Individual). 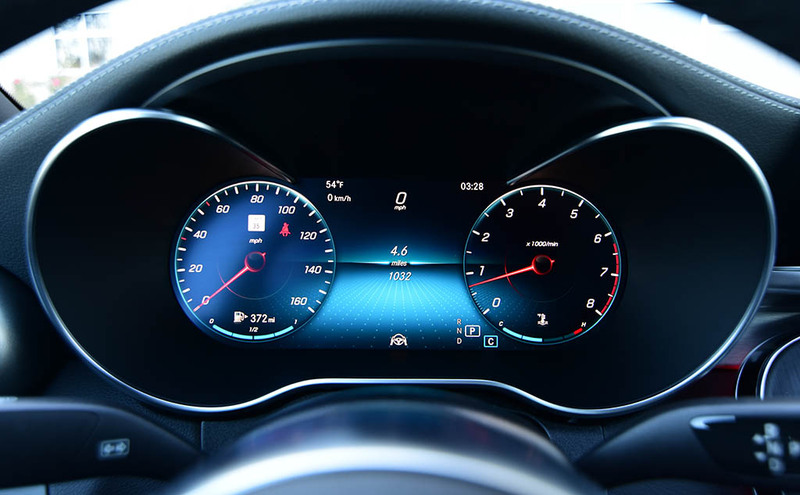 The Eco drive mode allowed the transmission to decouple the wheels from the engine allowing a costing mode where the RPMs of the engine drop to idle while the vehicle’s wheels no longer give back any resistance from the engine. 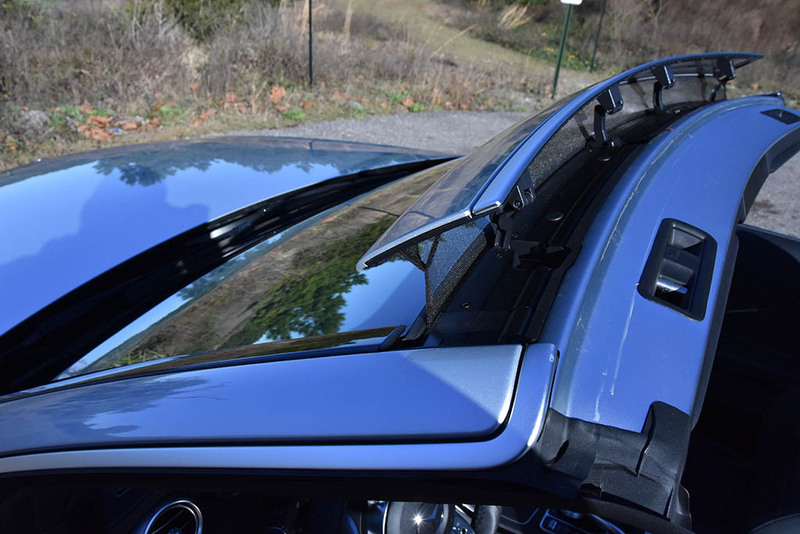 The mode is rather clever and smart where it utilizes the vehicle’s forward radar to detect vehicles and re-enable the transmission to provide engine deceleration when you’re supposed to get it – when you’re approaching a vehicle. 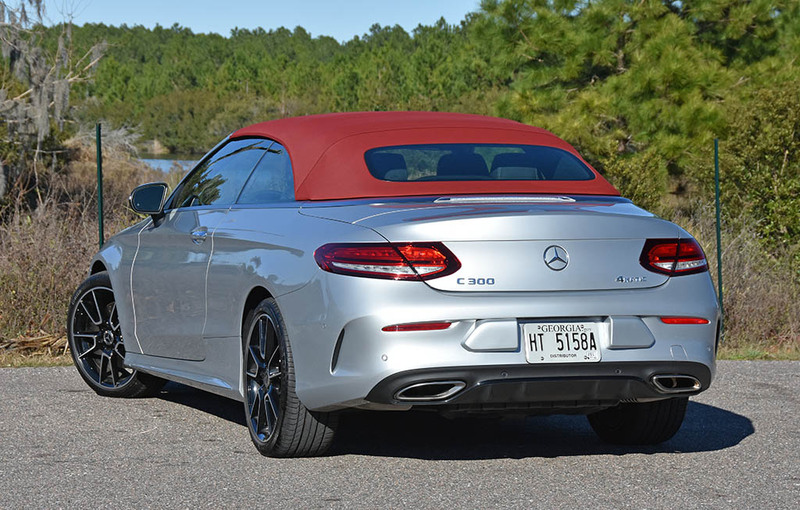 Other aspects of the C300 Cabriolet’s performance reside on a rigged chassis that limits cowl shake and otherwise feels as if you’re piloting a normal hard-top coupe. 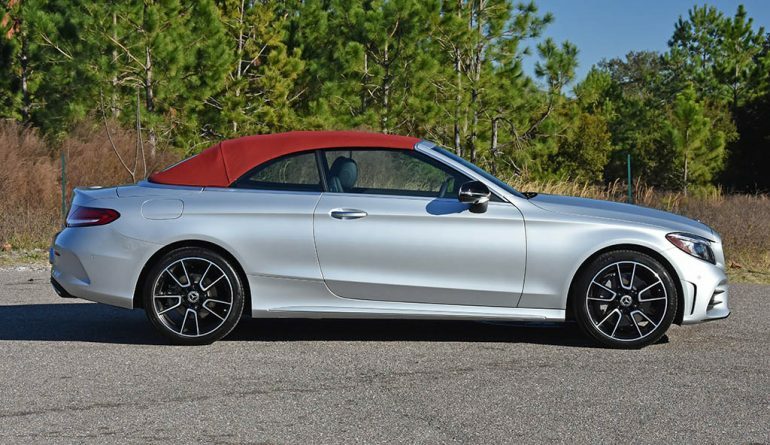 The C300 Cab 4MATIC nicely forms to curves and responds with a respected assurance. Though, pushing the C300 Cab hard through turns where the wheels start to bark back you start to find the C300’s limits quickly where stability control starts to step in and sap any momentum or fun that you may have attempted. Sport+ drive mode livens things up a bit but leave plenty of room for improvement, which is where the performance-derived AMG C43 and C63 will come into play to appease. 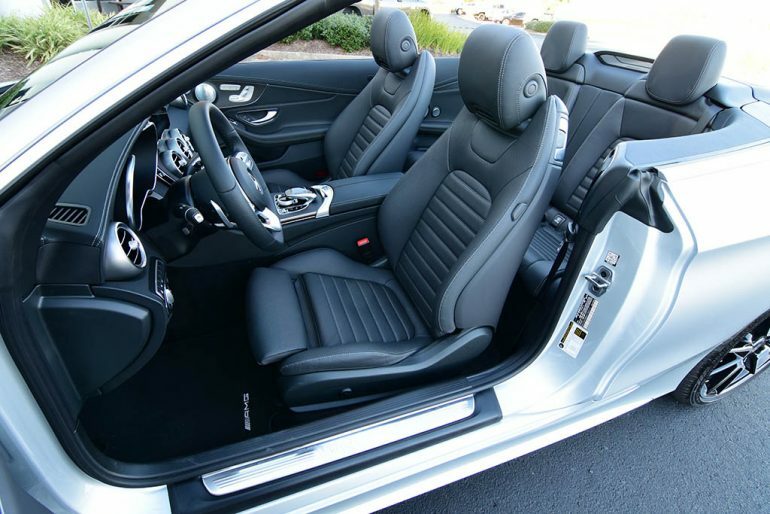 Mercedes-Benz as of late has upped the ante when it comes to their interiors potentially setting a new benchmark for other luxury makers to follow suit. 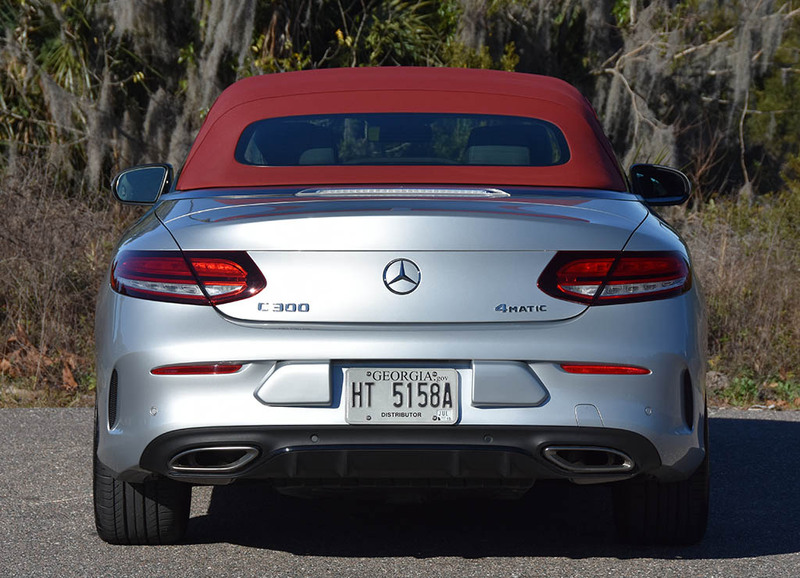 The C300 follows a trend from the Benz brand that has trickled all the way down from the S-Class and AMG vehicles. 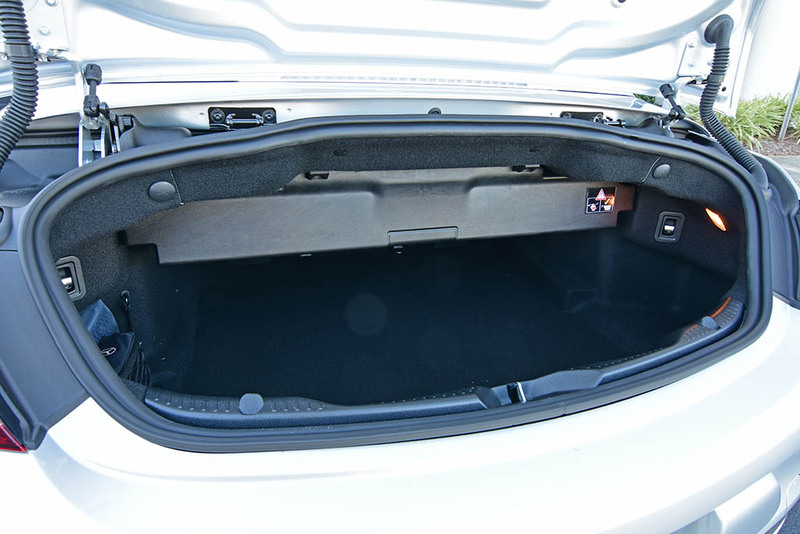 Much of what you find is a replicated interior space that is only changed for its size to fit the form of the smaller C-Class. 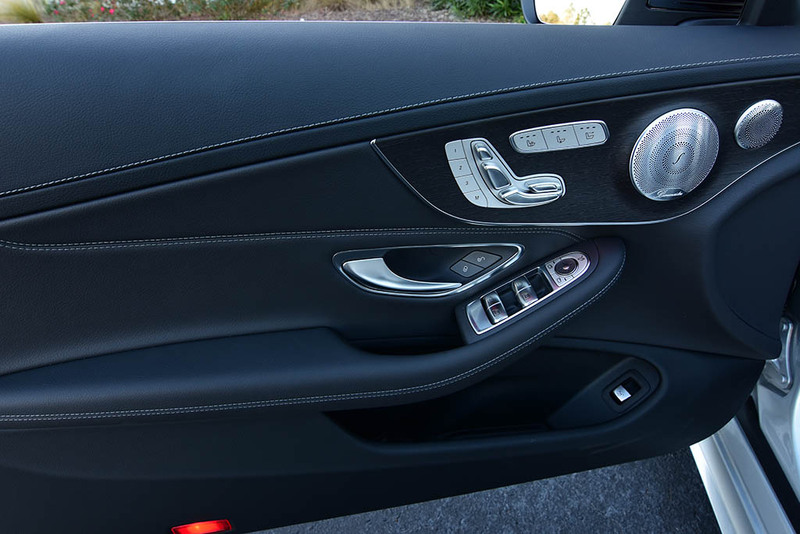 Otherwise, the C300 Cab’s interior is a welcoming space that doesn’t depart from the true luxurious appointments you find in vehicles nearly three-times its price. 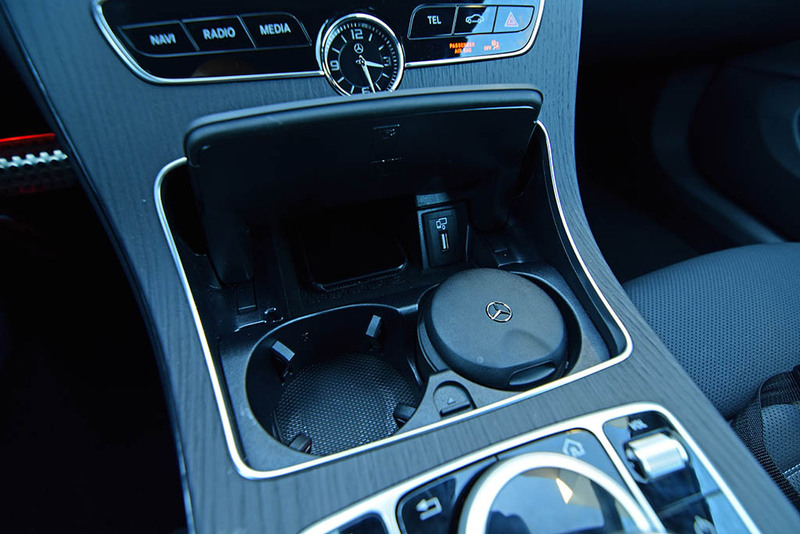 The only drawback, after experiencing the next generation of Mercedes-Benz infotainment unit in the 2020 GLE recently, is the use of the C300’s interface that lacks a touch-screen or the added versatility of the newest system. 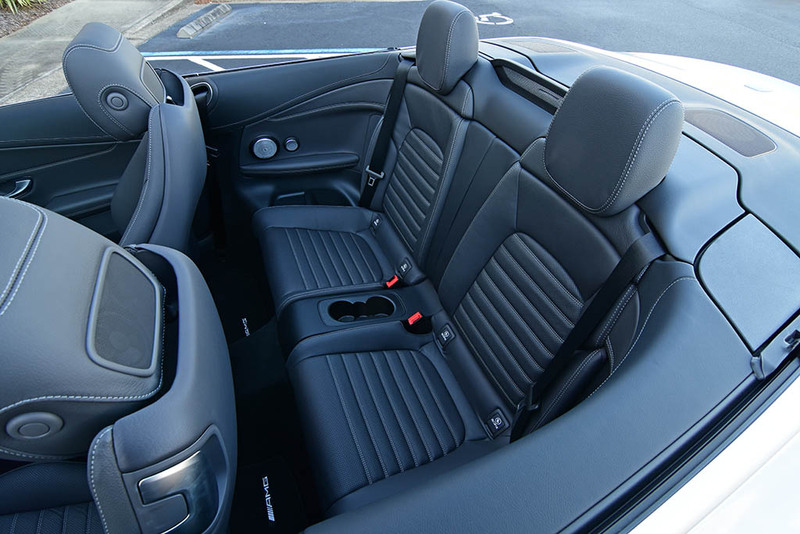 Though, much of the infotainment unit imitates its roots and remains familiar to the Benz crowd of owners. Moreover, Apple Carplay and Android Auto come standard for smartphone integration with several USB ports to interface and charge devices. 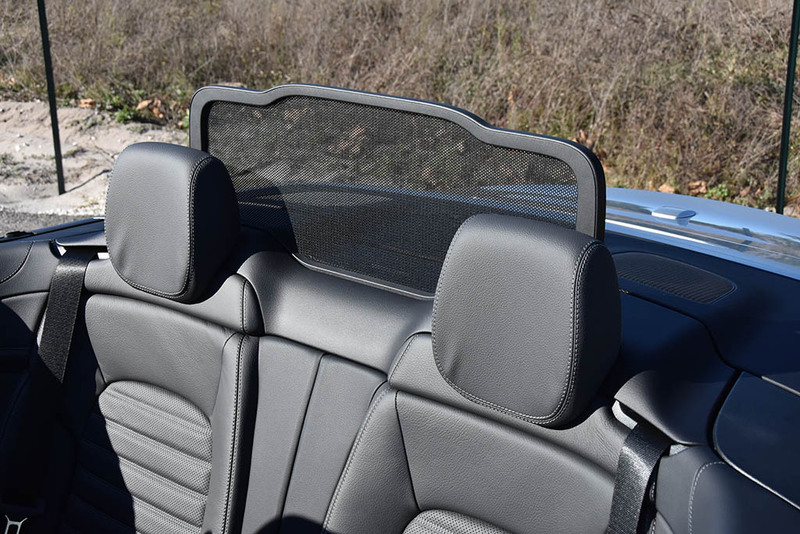 The many notable features of a heated AIRSCARF shoulder warming system for cooler days or nights that you lower the top, heated and ventilated front seats, customizable 64-color ambient LED lighting, textured wood trim, ample soft-touch surfaces throughout, comfortable seating positions, updated LED exterior lighting, a quick power-folding accented color fabric top all go the distance to make the C300 Cabriolet stand out. While standing out in a crowd, the C300 Cab doesn’t skimp when it comes to active safety features incorporating all the latest from Benz bringing autonomous driving to your fingertips and a safety blanket that’s there to keep your Benz literally in line. In a nutshell, I can agree that Mercedes-Benz makes some of the finest mainstream luxury convertibles in the world and the C300 Cabriolet further proves such a notion. 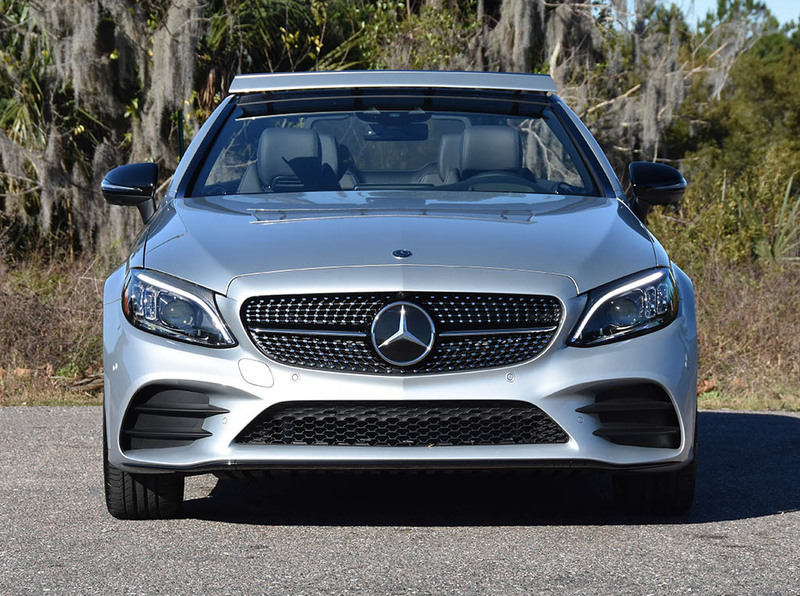 The new 2019 Mercedes-Benz C300 starts at a price of $51,850 and lands at an estimated $65,000 for my nicely-equipped test vehicle.